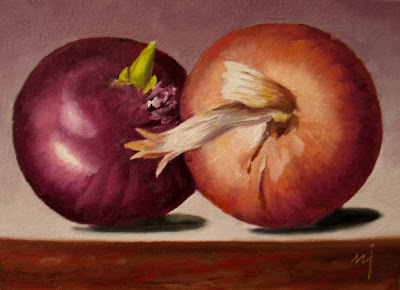 Oil on Gessoed MDF Board, 5" x 7"
The red onion sprouted while it was in the refridge, but I kind of like that touch of green. The big yellow onion you've seen before. A quiet subject for a quiet Good Friday afternoon.